for one second I have read this as invisible tentacle build. got curious there for a second! Is this your 1500th post ? 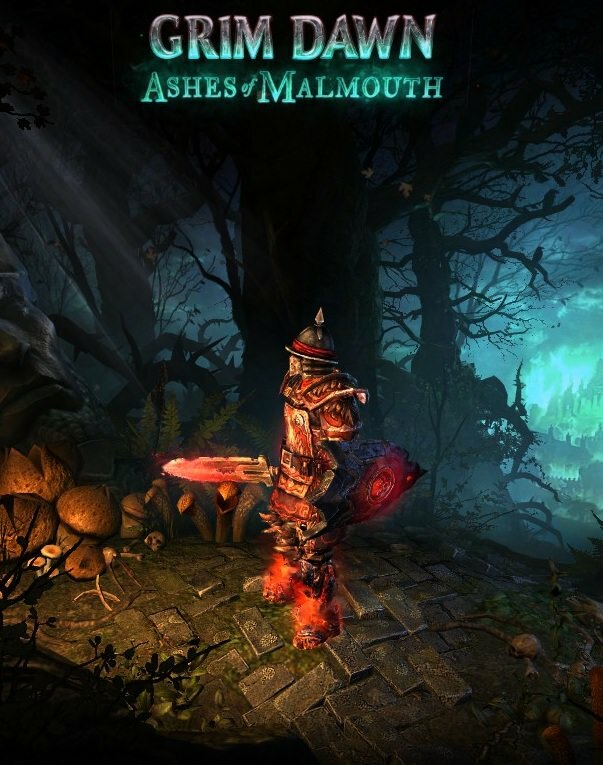 I was looking for something like this couple days ago but since i only have 1 Grim Fate, i wonder if there is any other weapon it could be combined in this build style or even a shield turning it into fancy chaos S&B build to get a bit endurance when not hitting anything. Any tip? I am also interested in that particluar point. I guess you use the Direwolf Crest for DW, but I would say that the Blood Sigil of Ch'thon would fit better. Looking forward to your 1h-shield version. If you don't have Two Grim Fates, you can use this S&B Version. Last edited by TZ Tz; 03-21-2018 at 03:32 PM. Probably because of the loss of the 2nd proc from Grim Fate, but Blood Sigil gives you a bit more direct DPS, plus you are a bit more tanky with the shield. I would say you lose a bit against mobs, but heroes/bosses should be easier, no? EDIT: No. I guess you cannot compensate all the goodies from Grim Fates. Just more tanky with a shield. 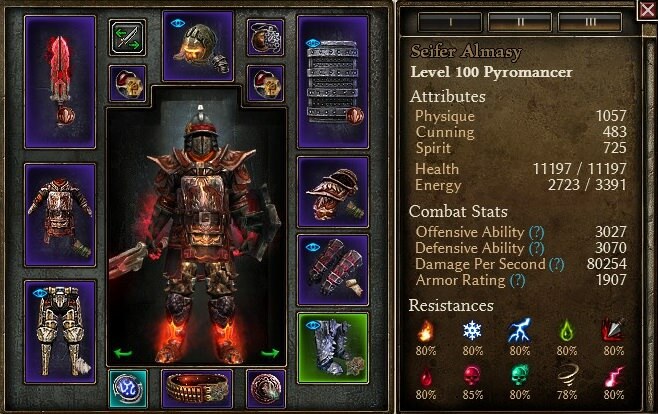 How should I lvl up this build? Demo or Occu will be better? Should I just focus on fire strike w/ the buff from blood of dregg until 94 for voidring to come to play so I can convert to chaos? I started with Occu for early AoE and into pet Dog. At 20 swapped to dual Witchstalker with Fanatic chest and in second weapon set riftstone for Chaos Strike in case i wanted to skip some content by better movement. It was easy to rush to 50s for legendary gear. I am sticking with same setup, just changing guns every gear jump level, probably till i will be able to equip the 90 relic. Take a gun and then put Greater Fireblast on your Left Click, and Conflagration Laser on Right Click. Curse of Frailty's Vulnerability for Elemental RR --> Just spare points into Vulnerability, and less points in CoF. Flashbang for reduce enemies DA + Crowd Control (CC). Blood of Dreeg for Healing. Flashbang again for DA Shred + CC. Dual Wield Range or Melee weapons and use FS as Default Weapon Attack. Flashbang + Blast Shield + BWC High Potency + Blood of Dreeg for Defensive Layers. I tried the spamming version a long time ago. Put DEE into Left Click Button. Bloody Pox nice for mobs, and Doom Bolt for Bosses. You can use this if you have nice gear support. This way, you'll get more xp from quest and some nice quest rewards. Try to avoid enemies / areas that your toon can't afford. *CoF's Vulnerability and Flashbang, both of them has DA Shred. Since Flashbang has greater reduction, it'll likely Flashbang will win over Vulnerability. Use one of them for reduced enemy Physical Damage. You can use Riftstone component for Chaos Strike Blink Skills. CoF ticks great for triggering Elemental Storm. You can also use BWC Agonizing Flame for Flat RR. It's too good to passed out. Actually I'm not sure how the mechanic of Raven's Mend Flesh skills, what is HP threshold for activating it? which are good for shielding you from bad AoE damages. This one also is not a healing skills. You can start to play this build style. Last edited by TZ Tz; 03-25-2018 at 11:07 PM. Didn't expect a full reply. You should put that in #2 for lvling section. how well can it farm through gladiator crucible?